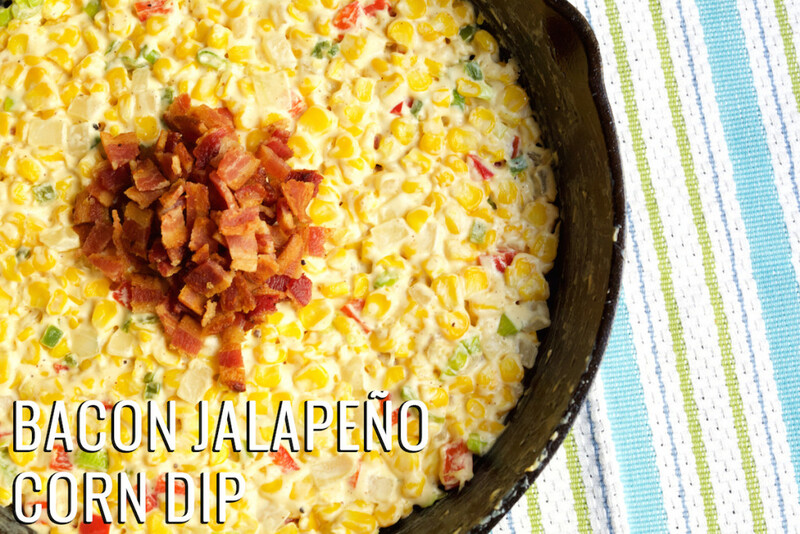 There are probably at least 50 different versions of the Bacon Jalapeno Corn Dip recipe across the internet, and I’ve drooled over every last one. When I went to settle on how to make it, I saw that I had pinned it 6 different times to one of my Pinterest boards. I had no idea I was crushing so hard on that dip! The problem with wanting something so bad is that usually when you get, it’s kind of a letdown. Not so with this dip! It was everything I had wanted it to be and more! I used fresh corn, but if I made it again I might just do frozen. It was kind of a pain, cutting it off the cob and making sure tiny pieces of silk didn’t make it into the dip. Heat a large cast-iron skillet over medium-high heat. 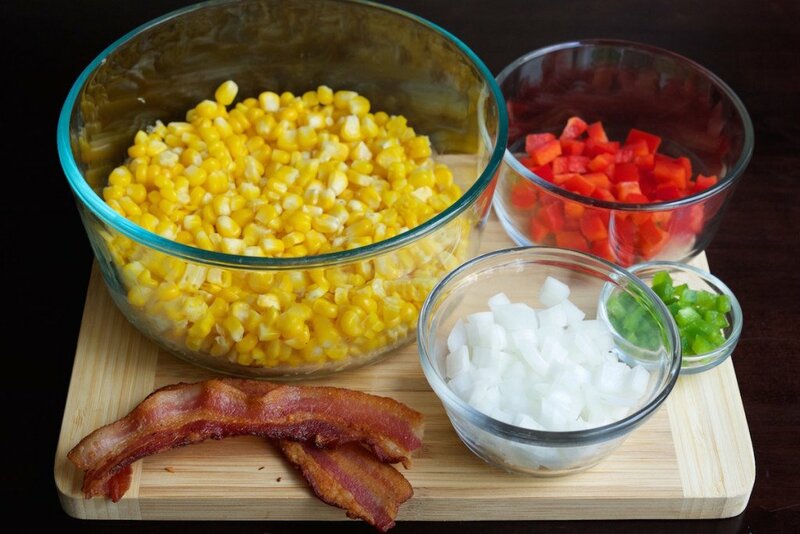 Add bacon and cook until brown and crispy (about 5-7 minutes). Transfer to a paper towel-lined plate. Reserve one tablespoon of fat in pan, discard the rest. Add corn, onion, bell pepper and jalapeño to the skillet. Cook, stirring occasionally, for 5 minutes. Add cream cheese and milk. Stir. Cook for 2-3 minutes. If the mixture is too thick, add more milk. Stir in green onions and sugar. Salt & Pepper to taste. OMG!! This is SO my type of dip!! 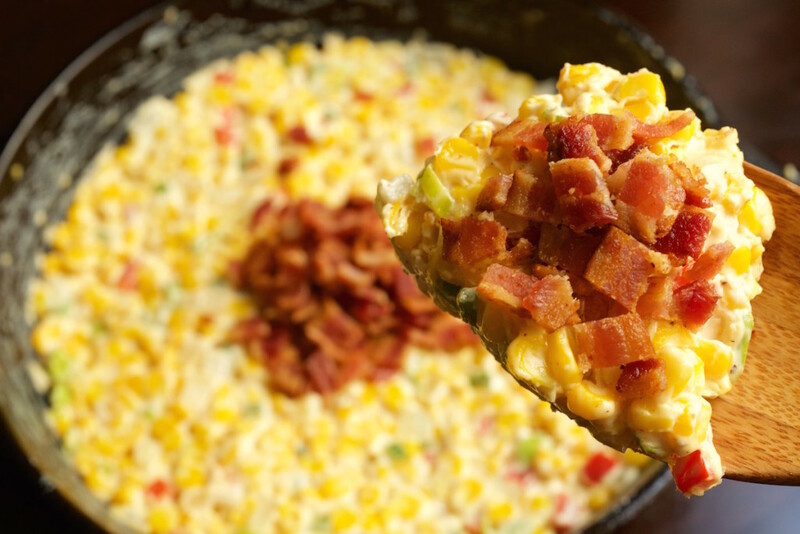 You’ve got corn, bacon and jalapeños in it…they are three of my FAVE ingredients!!! Eek!